Mr. K and I stopped in a charity shop today to see what we could see. 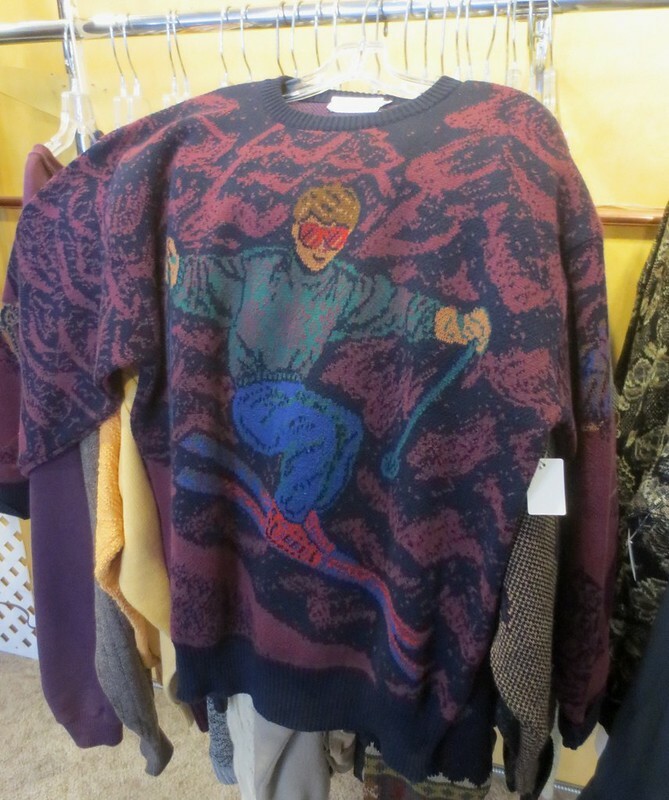 He found a belt to buy; I found some men’s sweaters I was sorely tempted by. Since I have many sweaters in my wardrobe already, some of which I haven’t worn in several winters, I could not justify buying these even though they were very reasonably priced. I did take some photos to remember them, though. 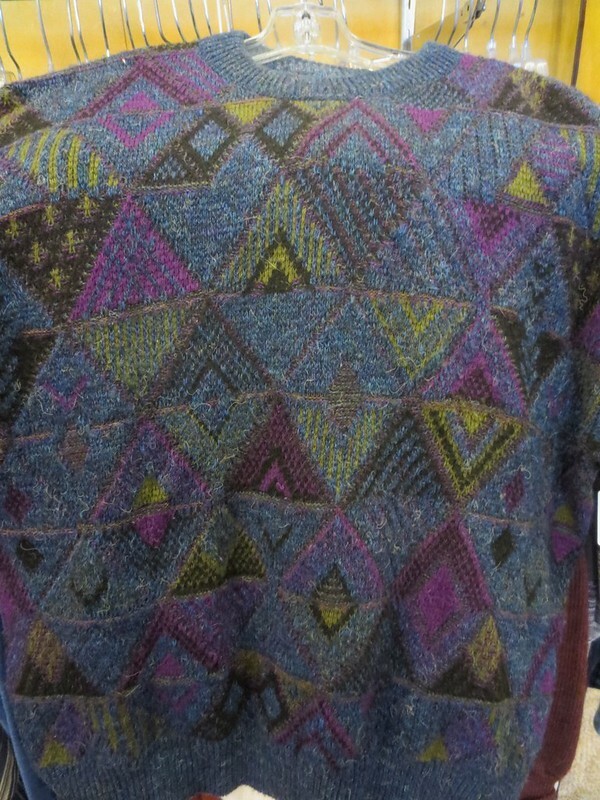 This first one is definitely Karen colors—purple, blue, lime, grey, and black—and a quilt-like design. This photo might inspire a quilt one day, who knows. 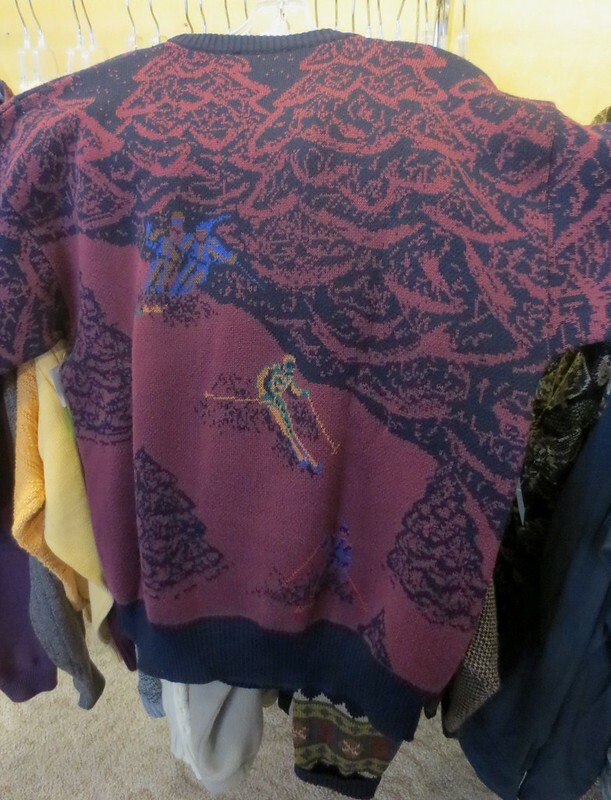 The triangles sweater was interesting to me for another reason: it came from Knott’s Berry Farm, one of the places Mr. K and I went on our honeymoon. 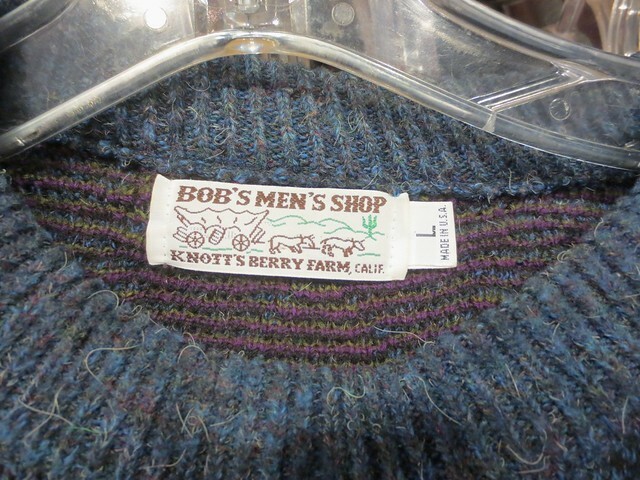 I don’t recall that we went into Bob’s Men’s Shop back then, though. Hmm, now that I’m looking at these photos, I really, really want to go back and get these. Must resist. Fortunately as I type this the store is closed, and by morning when they open again I will most likely have gotten distracted. For the sake of my overstuffed closet, I can only hope so.